Convenient access to restrooms is an important piece of an event planning puzzle you can’t afford to overlook. For the best portable toilet rental in Kentucky, rely on the professionals at Five Star Septic Services & Portable Toilet Rentals in Dry Ridge. Permanent Restrooms: The first thing you need to determine is if there are an adequate number of permanent restrooms close by. If there are, find out whether these restrooms have a septic system that can handle the increased volume of use at the event. 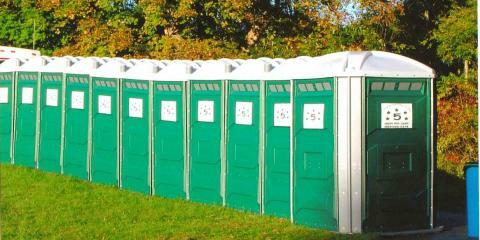 If not, you need portable toilet rentals at your event. Food/Drinks: Your restrooms will be used more frequently if you are also serving food and drinks at your event. If your guests are handling food and drinks, portable lavatories with sinks are necessary for health and safety reasons. Special Needs Guests Or Children: Special needs guests need proper accommodations, such as an accessible portable potty that has enough room to fit a wheelchair or space for a caregiver to assist. Parents also need enough room in the restrooms to help and supervise their children. If you need a reliable and affordable portable toilet rental for your northern Kentucky event, contact Five Star Septic Services & Portable Toilet Rentals. To reserve your portable toilets, call their Dry Ridge office at (859) 428-5444 or visit their website for more information on their available services, including septic tank repair and maintenance.